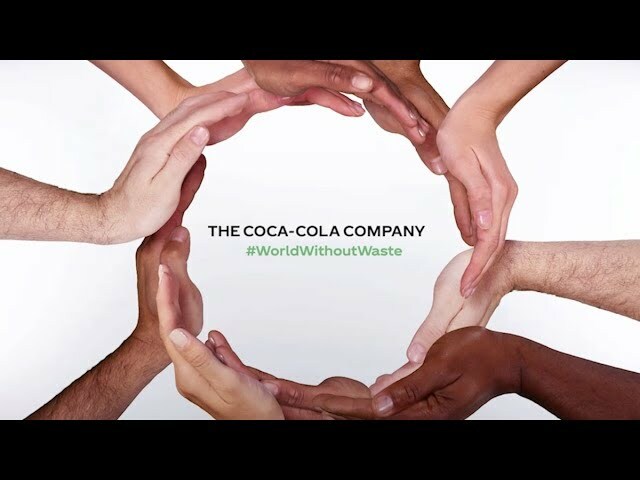 Innovative packaging, recycling PET bottles, involving the community is helping drive recycling efforts and others have helped Coca-Cola lay the foundation for a cleaner environment. As availability of water and reduction of waste become critical issues, the Company has been focusing on its community efforts to drive its policy to minimise the impact on the environment. The modern consumer industries address the objective through reduction of waste and enhancing the efficiency of use. Packaging is the new area of focus in this direction. In a world flooded with multiple brands and each of them jockeying for attention of the eyeball, packaging is what lends the products a distinctive identity on the shelves and the credibility the consumers look for. In case of consumables like foodstuffs, beverages and medicines, they have an additional role: preserving the integrity of the contents and ensuring the consumers that they get what they are promised. Nothing more, nothing less! In one sense, the contents have an integral relationship with containers today. More so when it is related with favoured drinks from Coca-Cola which is identified with its iconic bottle across the globe. It is this relationship which urged the producers of Coca-Cola to devise ways to opt for what is called “lightweighting” within the industry. Initiatives in this regard have led to reduction of weight of PET bottles ranging from 15 to 30 per cent during the last four years. The returnable glass bottles (RGBs) too have shed around a third of their weight during the same period. Curiously, 47 per cent of beverage sales of Coca-Cola still happen in RGBs, which are meticulously collected back from the market, leaving no direct carbon footprint on the environment. The two-pronged attempt takes care of almost 95 per cent of the packaging the beverages carry when it comes to addressing the environmental concerns. The remaining 5 per cent of the products come in aluminum cans and Tetra Packs which are wholly recyclable anyway. The continuing drive is all likely to achieve the goal of reducing the CO2 emissions associated with these delightful drinks by 25 per cent by 2020. Campaign to retrieve the plastic bottles by the company even found an extension into a special programme called ‘Mission Green’ in 2015. The company placed thousands of trashbins and deployed hundreds of trained volunteers to collect beverage bottles discarded by the pilgrims. The drive led to collection of over 125,000 PET bottles from the Pushakaralu festival held on the banks of Godavari in Andhra Pradesh in 2015. Similar success was witnessed during the famed Sabarimala pilgrimage held in the Periyar Reserve Sanctuary in Kerala.